Adapted production machines are available as overall solutions for all industrially implemented technologies. In this context, the laser and process know-how of JENOPTIK Automatisierungstechnik GmbH is of particular importance. 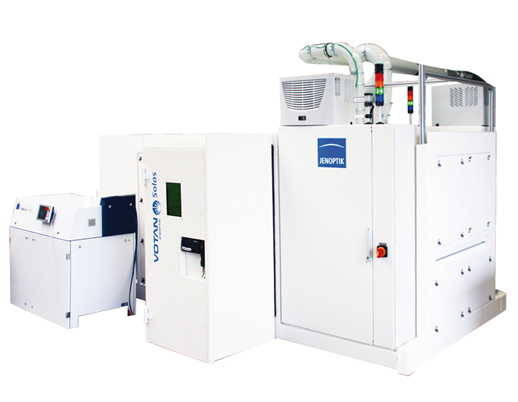 The machine solutions available are adapted to the respective process technologies, and laser processes are optimized for the related product requirements so as to ensure that the production equipment can be integrated in the production lines with a maximum degree of process stability. JENOPTIK-VOTAN® Solas Multi used for the optimization of structuring of a-Si, µ-Si, CIS / CIGS and CdTe thin film photovoltaic modules in original size. The appropriate lasers and mechanical tools for P1, P2, P3 and P4 structuring and functionality for laser edge deletion are integrated into one machine concept. The process is carried out after automatic alignment from the glass side as well as from the layer side. A simple upgrade of the JENOPTIK-VOTAN® Solas Multi to a mass production machine for P1 or P2 or P3 or P4 structuring is possible. 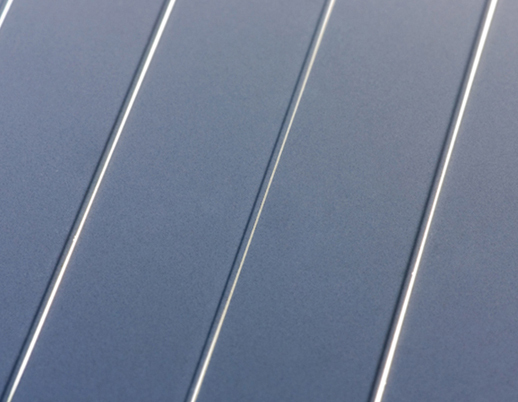 By means of the laser edge deletion process layers can be removed from thin-film solar modules prior to lamination efficiently and on a high quality level. The laser systems of the JENOPTIK-VOTAN® Solas LED series have been developed particularly for said layer removal processes. In order to fulfill the requirements, their compact, space-saving system concept is modular so as to enable easy line integration. Multiple uses can be individualized with the laser system in a cycle time-neutral manner. The JENOPTIK-VOTAN® Advanced series separates glass substrates required for the production of thin-film solar modules in various thicknesses by means of a laser. 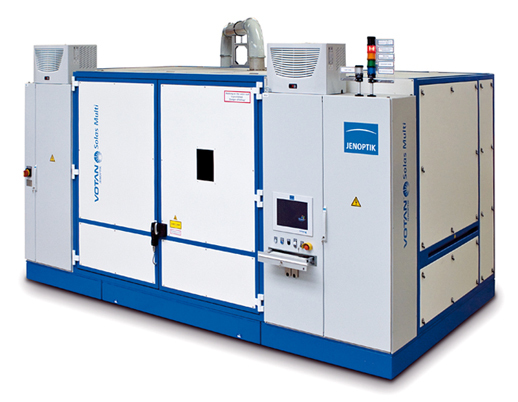 The technology of thermal laser separation (TLS) is setting new standards. 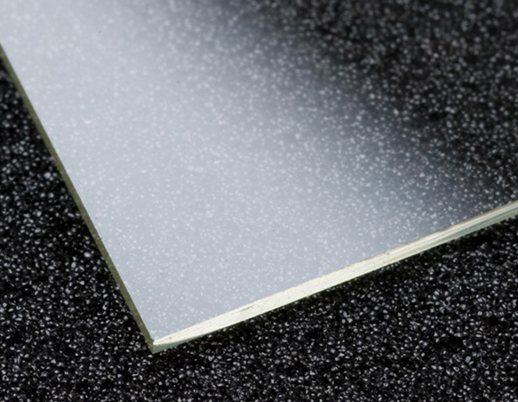 Applying TLS in substrate glass cutting/separation brings a multitude of advantages.